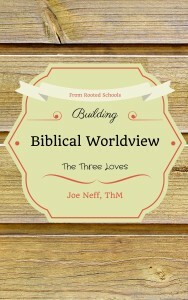 Building Biblical Worldview: The Three Loves explains how to create and sustain great Biblical worldview in all classes, for all grades. To purchase in paperback or ebook, go to Amazon. For quantity discounts to use with faculty or school leaders, write joe@rootedschools.org. We also provide keynote talks and one or two day workshops for faculty. “You will be able to read this book in one setting. And you will be changed.” Amazon review. Rooted Schools ministry helps Christian schools make vision a reality and supports those who work with Christian schools. We help Christian schools know how to make vision a reality in practical steps and support the people in Christian schools so they thrive and bear fruit, successfully living the daily life of leader and teacher. We craft books, blogs, and newsletters. Speak and lead workshops. And, creatively consult for school and personal growth. We are committed to joy and courage that comes from knowing God and His Word as we help you climb your mountain. We dream of helping schools around the world with truths about school and learning that will grow equipped and courageous students. We believe that when schools start with truth from God’s Word for operations, practices, and pedagogy, they will experience power and peace, and bring distinct value to parents and students. For Christian school principals. Really anyone responsible to make school flourish, to put vision into everyday practice with teachers, students, and parents. Biblical, researched, and practiced. In ways that work in the busy school leader’s life. We are pausing as we shift from a subscription approach to a free and product choice approach in 2018. For what we have been doing, go here! Gautemala, Keynote, ACSI Latin America Teacher Convention, June, 2016. South Carolina, Southside Christian workshop, July, 2016. Denver, CESA presentation, October, 2016. Federal Way, WA, ACSI workshops, October, 2016. Wheaton, IL, Wheaton Press, October, 2016. Lancaster, PA, ACSI workshops, October, 2016. Oregon, ACSI workshops, October, 2016. Malaysia, Vietnam, Bangladesh, school visits, April, 2017. Vietnam, TeachBeyond Global Committee presentation, April, 2017. "Growing strong, fruitful schools and people"
I am so glad you found us. If you are serving in Christian schools, you are doing important things. It is a journey worth your life. We would like to help it be good for you. In thirty-two years of active leadership in Christian schools, I found so much good and so many lives changed. But, I also saw a few areas where I think we can help. First, many times I saw things that we wanted or needed to do in our schools. 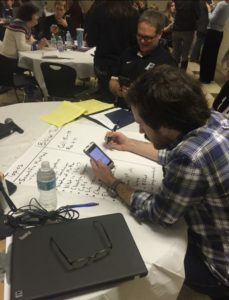 Sometimes, though, we would sit back and say, “But, how do we do that?” We want to help you know “how to do that,” especially within the resources of the average Christian school and those who serve there. Second, we want to look a little harder at what God’s Word says for how we do school. While we love business, education, and best practices, we are convinced we can increase our impact and joy by going to God’s truth first. We love seeing His truth work! Third, we found lots of friends serving in Christian schools who could use more support in just having someone else’s ear and input. Or, in figuring out how to live the unique life of a Christian school leader or teacher. We love to help with that. So, I hope you find something useful here. I would love to hear from you, especially if you need help and don’t know where to go. We would also appreciate your prayers for the Rooted Schools ministry. 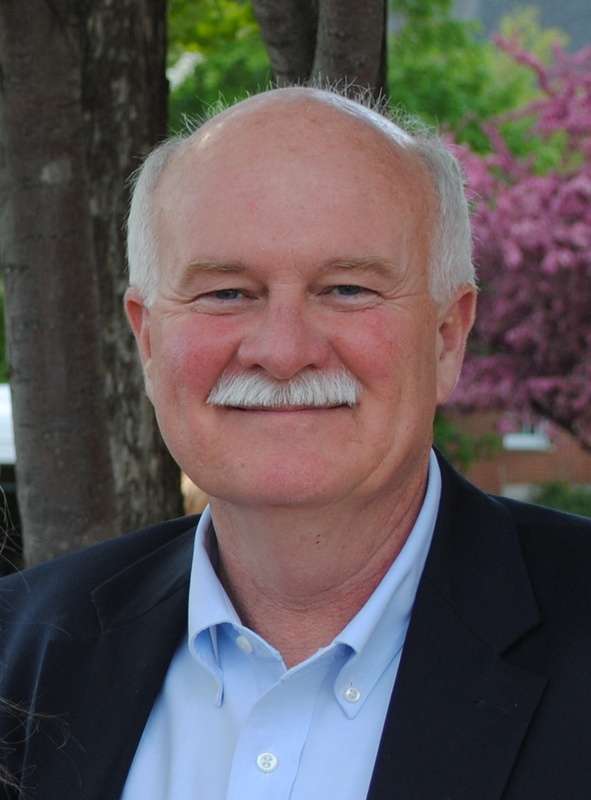 Joe Neff, Founder of Rooted Schools. Head of School, Principal of National Blue Ribbon Middle School and High School, Author, Speaker, Guide, Encourager. Rooted Schools will help you make your vision a reality, by showing “how” your dreams and plans work out in daily practice. Developing a vision and plan is a lot different than making it happen in daily life. While we can help you develop vision and the strategic plan, we also help you know how to put those ideas in practice from years of achieving vision and implementing plans as a Christian school leader in growing and successful schools, from small to large. Nothing is more important than faculty and staff. They are the school. We know how to build a faculty to reach their highest potential and impact lives. How to hire, fire, and fit individuals in roles that use their gifts. How to use ten key professional growth factors that respect the faculty and engage them in growth. We love to encourage and support those who work in schools and can share ways to do that at every level, from the board, to leadership, to procedures, to culture. School is about students and their success and well-being. We can help you know how to create a positive student culture, change bad traditions and start new ones, help establish and keep a focus on learning and growth, and create a situation where students want to know more about Jesus. We can show you how to give students a voice, yet run a tightly focused and joyful school where learning and people are respected and growth happens. We know pedagogy and can help all students learn. We can help you partner with parents with joy. We can show you how to change a negative culture to one of openness and support. We believe in “Building Bravehearts” based on Colossians 3:21 and using other clear direction from God’s Word about parenting in a way that helps everyone succeed. We can talk with parents about relationships with teachers and raising their children well in a Christian school, from personal and professional experiences. Let us help you reach your vision with a personal visit to give suggestions, complete projects, and support. Campus visits for evaluation and suggestions. Projects completed to help you move forward. “On call” and regular personal support and coaching through phone, email, discussion, and monitoring. Focus on “how” to help you make vision a reality and support those involved in your school. Books, such as Building Biblical Worldview and 10 Keys to Powerful Faculty Growth in 2018. ThePrincipalConnection.org. Serving Christian school principals. Really, anyone leading education, faculty, students, or parents. Biblical. Researched. Practiced. Delivered in ways good for busy school leaders. Insights for real life with real truth that works. Presentations to help reach your vision and support you, staff, and constituents. Keynote and large group talks, especially on Building Biblical Worldview: The Three Loves. Board care in specialty areas like reaching vision and faculty culture. For the latest in biblical, researched, and practised materials and ideas for Christian schools and the people in them!